Her married name became Molyneux. 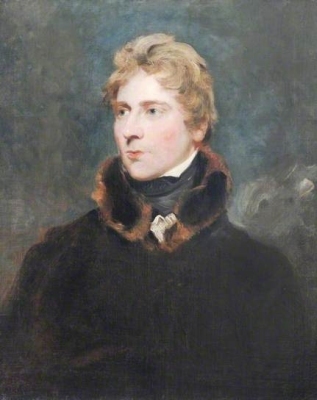 Charles William Molyneux, 3rd Earl of Sefton was the son of William Philip Molyneux, 2nd Earl of Sefton and Hon. Maria Margaret Craven. He married Mary Augusta Gregg-Hopwood, daughter of Robert Gregge Hopwood and Hon. Cecilia Byng, on 19 June 1834. He gained the title of 3rd Earl of Sefton. Mary Augusta Gregg-Hopwood was the daughter of Robert Gregge Hopwood and Hon. Cecilia Byng. She married Charles William Molyneux, 3rd Earl of Sefton, son of William Philip Molyneux, 2nd Earl of Sefton and Hon. Maria Margaret Craven, on 19 June 1834. William Philip Molyneux, 4th Earl of Sefton was born on 14 October 1835. He was the son of Charles William Molyneux, 3rd Earl of Sefton and Mary Augusta Gregg-Hopwood. He married Hon. Cecil Emily Jolliffe, daughter of William George Hylton Jolliffe, 1st Baron Hylton of Hylton and Eleanor Paget, on 18 July 1866 at London, EnglandG.1 He died on 27 June 1897 at age 61. He gained the title of 4th Earl of Sefton. Her married name became Jolliffe.